It's impossible to drive in Pennsylvania and not see the blue signs along the side of the road: KEEP PENNSYLVANIA BEAUTIFUL. Well...I guess it is possible that...for those of us who have lived here all of our lives...those blue signs just kind of blend into the landscape. The signs have been around as long as I can remember. As a young boy I remember participating with my Cub Scout troop spending time cleaning up local parks as part of the KEEP PENNSYLVANIA BEAUTIFUL Trash Clan program. 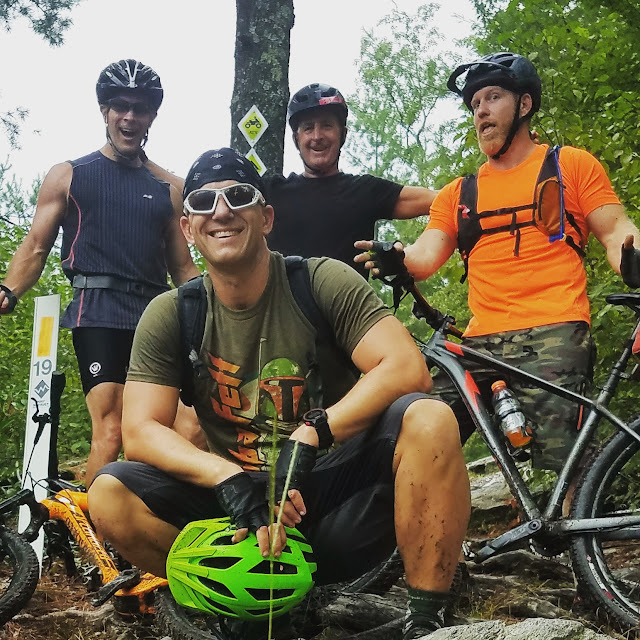 Nothing like that exists anymore (at least not that I'm aware of)...but I did find that there is a group, KEEP PENNSYLVANIA BEAUTIFUL, which is affiliated with KEEP AMERICA BEAUTIFUL, that is dedicated to empowering Pennsylvanians to "make our communities clean and beautiful." To be honest, when I left for my short after school ride today I had no intention of writing anything. I just wanted to get our and spin my legs a little. 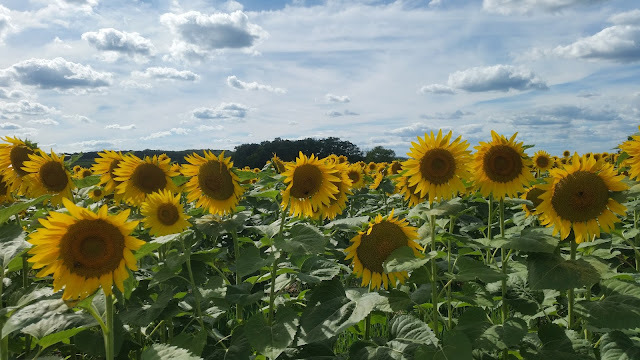 Then...just east of Mount Wolf Borough...I came across an amazing sunflower field topped off with a brilliant September sky. 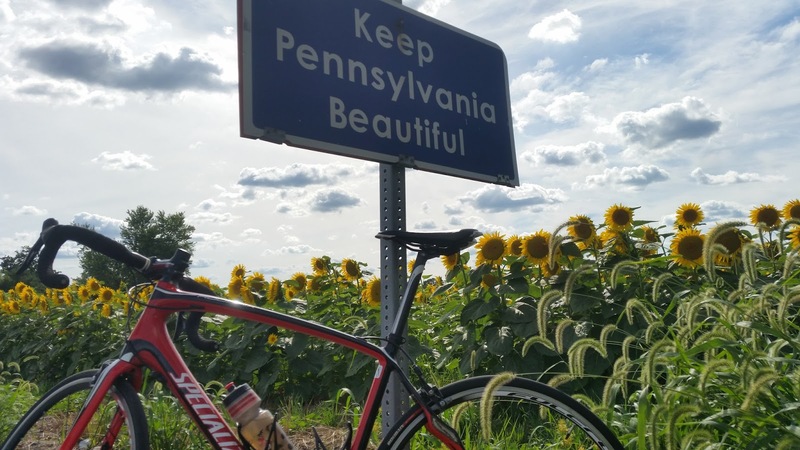 I was there taking pics and looking at the view for a full five minutes before I realized I had leaned my bike on one of the blue KEEP PENNSYLVANIA BEAUTIFUL signs. How appropriate. Our Commonwealth (yes, Pennsylvania is technically a Commonwealth...not a State) really is beautiful. Let's do what we can to keep that way. I earned this patch as a Cub Scout way back in 1985. 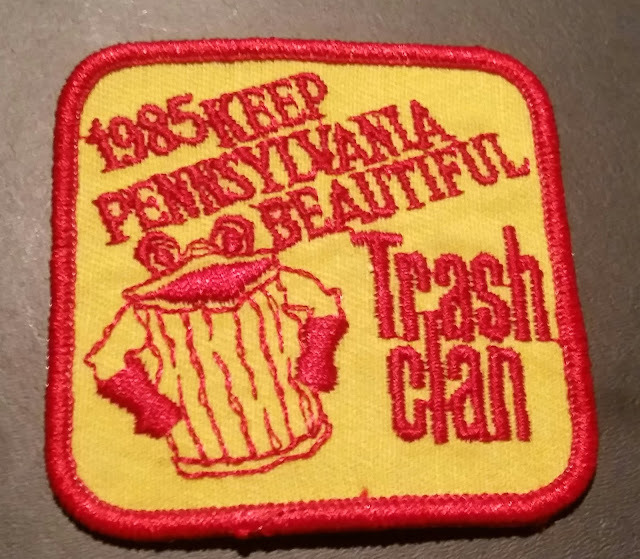 The Keep Pennsylvania Beautiful Trash Clan program was an annual event that groups participated in to promote clean and beautiful communities. I was actually surprised that, not only was I able to find this, but was still in such good condition. I can remember my scout troop spent time cleaning the area around Fort Bedford Park in Bedford, Pennsylvania.